PolypLab has has long been known for manufacturing the ever popular Reef Roids coral foods, Reef-Fresh aquarium additives and Reef Safe medication for fish to name a few. More recently, PolypLab released a high quality coral lens filter kit for phones and their new coral glue gel but today we are here to let you know about another product release called the Scope Flashlight. 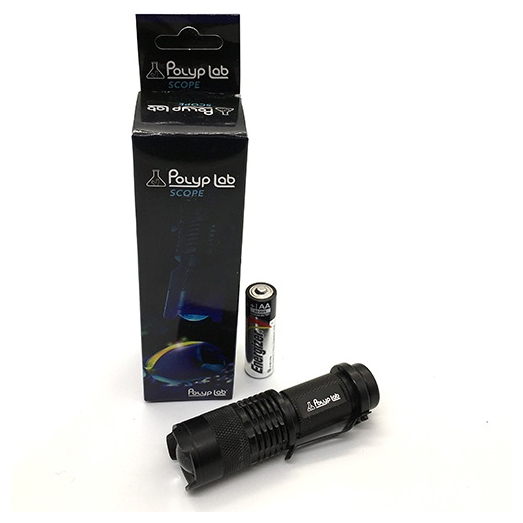 The Scope Flashlight from PolypLab has multiple applications; whether you are keeping an eye on your tank, taking captivating images, or shopping for new livestock at one of the many trade shows or retail stores, the scope should be a nice addition to your aquarium gadget collection. 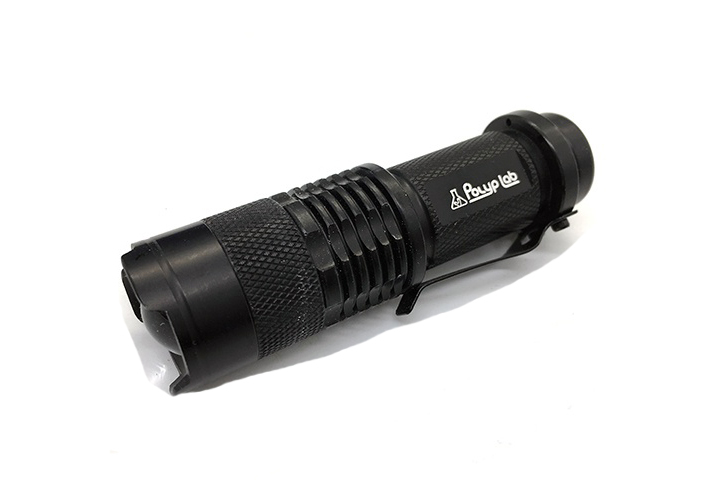 The Scope Flashlight will highlight the bio-luminescence of your corals. It can also help you locate corals in the aquarium that may have tumbled off of your rock work and gone into hiding somewhere in the aquarium. Keep an eye on the health of your inhabitants by hunting for signs of ick, flukes, or other defects. The scope is available now at authorized PolyLab dealers and sponsors Aquarium Specialty and Premium Aquatics for $24.99.